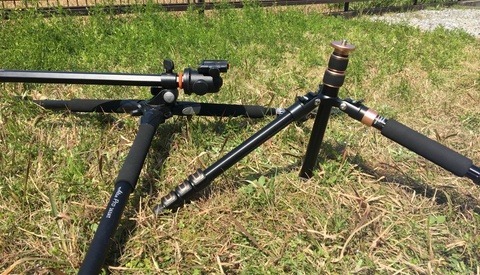 You need different tripods for different situations, but you don’t need to spend big on them. I’ll show you three tripods I use that can cover you in almost any setting and won’t break the bank. When you live in one of the top four countries on Earth most at risk of natural disasters, you soon learn the value of a solid tripod. If you Google “riskiest places in the world for natural disasters,” you’ll see that Japan is in the top four, along with China, the Philippines, and Bangladesh. Having lived here for 15 years, I’ve seen it all: earthquakes, typhoons, mudslides, torrential rain, tsunamis, and volcanic eruptions, sometimes all in 12 months! Indeed, barely more than 100 km up the road, Shinmoadake is currently erupting and gushing huge fireballs and ash into the sky above. Quite the sight! So, having a tripod that can handle almost any situation Mother Nature can throw at you is extremely important. That’s where the Vanguard Alta Pro Series comes in. This tripod has absolutely everything I could ever need when it comes to sturdiness, versatility, durability, and most importantly, stability. I’ve owned mine for more than five years, and I really can’t see a reason I won’t own it for another five. I live very close to the ocean here in southwest Japan and I’m also surrounded by high mountains and verdant valleys. Therefore, I’m often out shooting with water rushing around my ankles or perched high up on rocks with river torrents smashing and crashing inches from my gear like in the picture above. And this tripod has never failed me. One thing I really love about the Vanguard is its ability to maneuver into a 180-degree angle or completely parallel to the ground. Very often, when you want to use a tripod very low to the ground, the center column gets in the way and prevents you from getting as low as you want. Then, you have to try and contort your tripod into all sorts of crazy angles and configurations for it to do what you need. But with the Vanguard, you simply pull the center column up and then flip the switch and fold it over. Then, it releases and allows you to place it at whatever angle you want. You can also manipulate the ball head and position your camera whatever way you want. 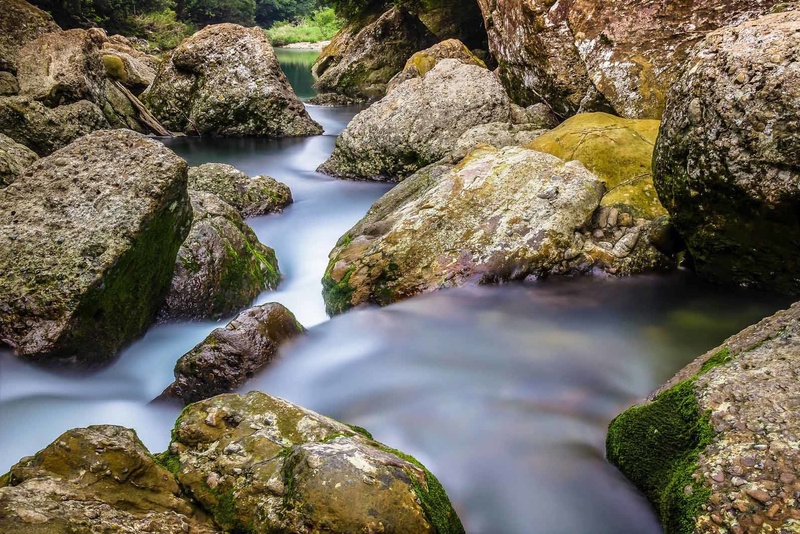 It’s extremely convenient and incredibly helpful when you’re shooting in uneven or rocky terrain. Another thing I really like is the hook at the bottom of the center column. Surprisingly, many tripods still don’t have this feature, but it really is a lifesaver for two reasons. Firstly, it allows you to add extra weight to the tripod. 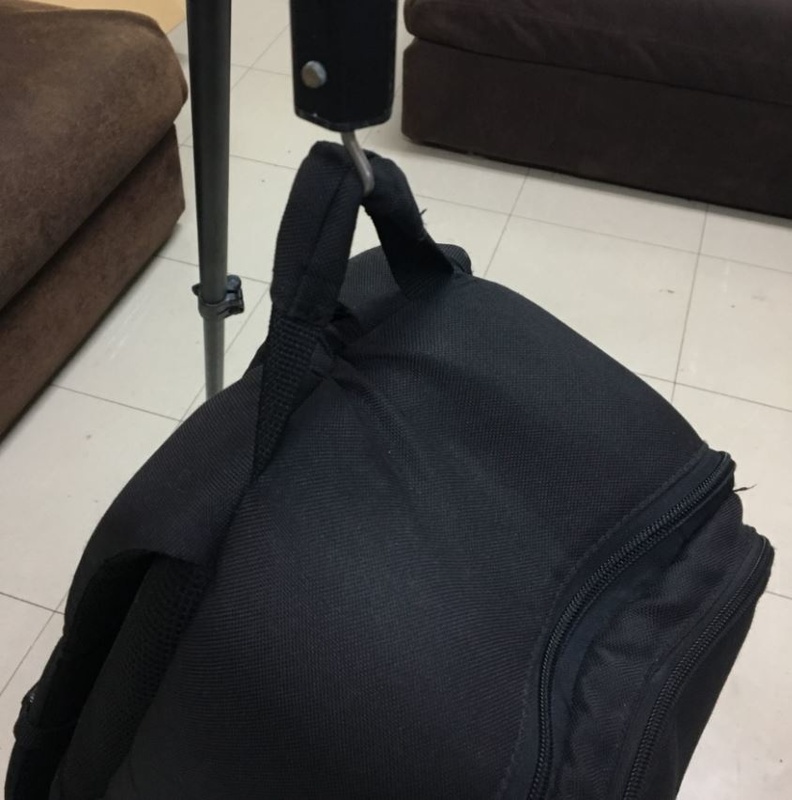 When you hang your camera bag off the bottom of the center column hook, it adds stability to the tripod, which further helps keep the camera stay still. 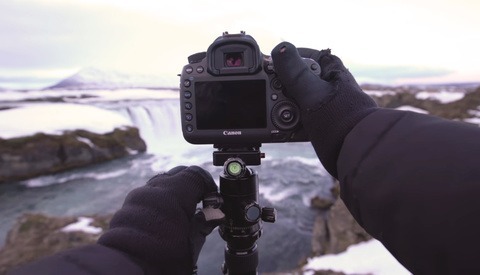 This is extremely important when you are out shooting in particularly inclement weather. Secondly, it keeps your bag safe and dry and away from potential disaster. 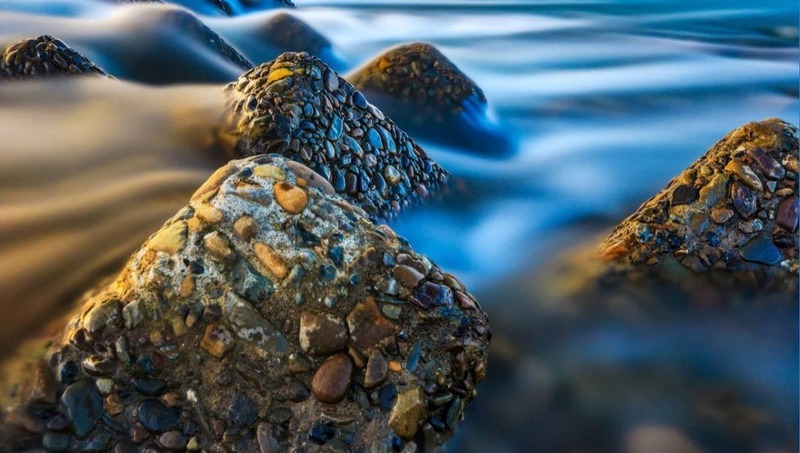 As I said, I shoot a lot in and around water and deep, rocky valleys. Being able to keep my bag up off the ground or free from danger is very reassuring. The best part is that the Vanguard series comes in at $160. I have the aluminum version, and granted, it’s a little bit on the heavy and bulky side. There is a carbon fiber version available, but its size is pretty much the same. And it’s only marginally lighter, so I don’t really see the point of forking out an extra few hundred dollars for it. If I know that I’m going out into conditions that require a strong, sturdy tripod and I know I won’t be moving around from location to location too much, I always take the Vanguard. 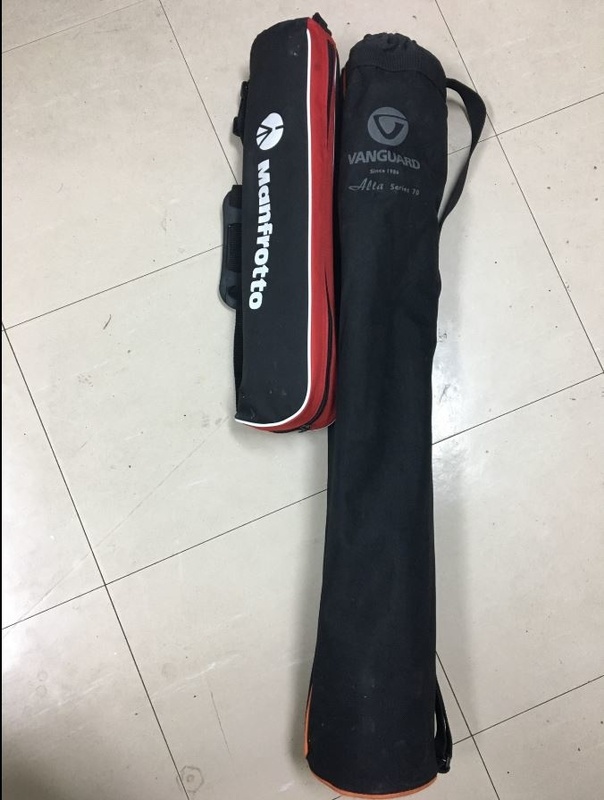 You can see from the picture below that the Manfrotto Be Free tripod is almost half the size of the Vanguard. It’s designed for travel and easy mobility, and I must say, it’s incredibly convenient. When it’s folded up and packed in the bag, it’s roughly the length of your elbow to your outstretched hand. It’s very easy to carry around your shoulder or simply attach to the side of your camera bag. It also has a sturdy ball head that is very easy to manipulate. It easily takes the weight of my Canon 5D Mark IV and most lenses as well as my 7D Mark II with almost every lens I own. It folds back on itself, which is how it becomes so compact. The legs and center column are much thinner than the Vanguard, which also explains why it’s so much lighter. 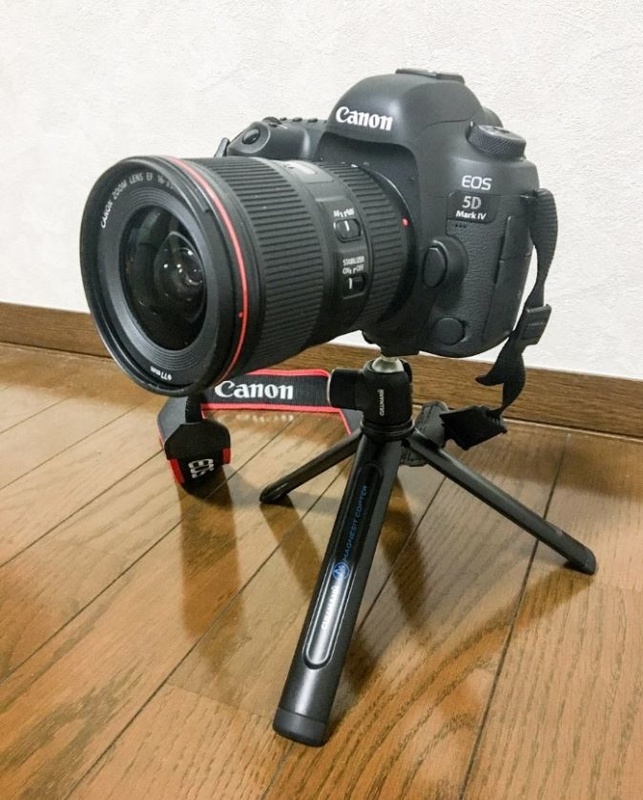 If you know you’re going to be walking around for the day and you don’t want to lug something big and cumbersome around, then this is the perfect tripod for you. Admittedly, it’s a little bit lightweight to take out in typhoon conditions, but that’s why you have the Vanguard. The Manfrotto Be Free is my go-to tripod whenever I travel for extensive periods of time. 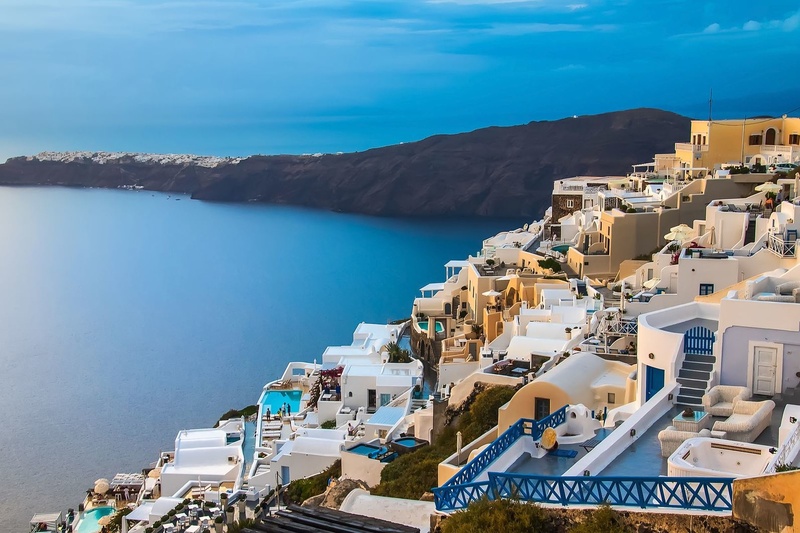 I’ve taken it around Greece and Europe as well as across half of Japan and my home in Australia. Mine has definitely seen better days and the little rubber stoppers on the bottom of the legs have long since fallen off. But it still gets the job done as well as the day I bought it. And for $150, you really can’t go wrong. The only real criticism I had of the Manfrotto Be Free was that it didn't have the little hook on the bottom of the center column to hang your bag from. But the newer versions now have that, so you're good to go. Manfrotto make a lot of great tripods, but for me, the aluminium Be Free is all I need. Sometimes, I just can’t be bothered taking all my camera gear out with me, including tripods. I love getting out and about in nature, and I really enjoy going for rides on my bike or walks with my little daughter. At those times, the last thing I want is a camera bag full of lenses perched upon my back or a tripod swung across my shoulder. But I do want to take some photos because it’s impossible to take a good photo if you don’t have a camera or a tripod that enables you to take some long exposure shots. So, what do I do? I use the Cullman Magnesic Copter. 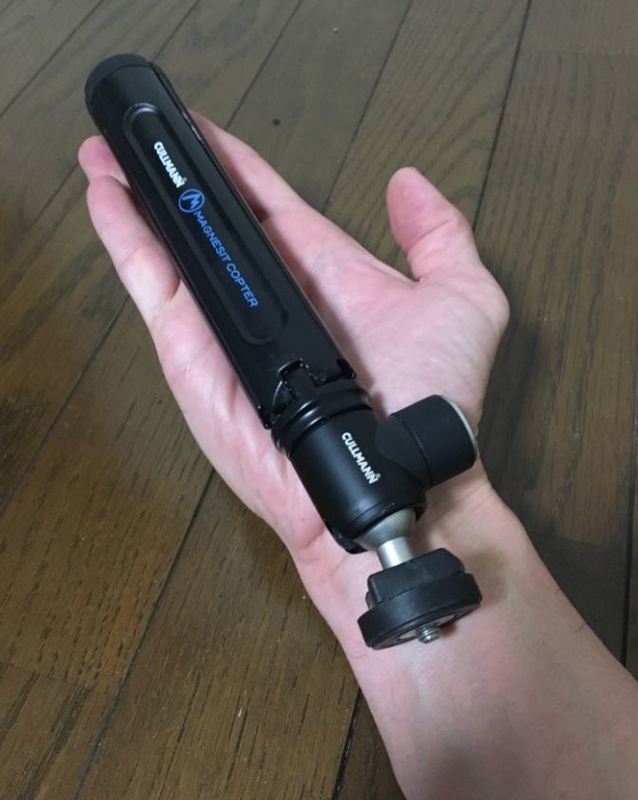 I love this little tripod because I can fit it in my pocket and it doesn’t weigh me down. Yet, it allows me to take long exposure shots of otherwise boring water during windy afternoons. Before I got this nifty little tripod, I would go for evening rides along the coast without my camera because I wasn’t excited by the water and didn’t want to carry my gear around. And as sure as night follows day, I would always come across some scenes where I wished I'd had my camera and a tripod. Then I found the Cullman Magnesic Copter and I got the best of both worlds. I could go for a leisurely ride or walk along the beach with just a camera and lens around my neck and I could have a tripod at my disposal tucked away in my pocket. Of course, as it is so small, you need to rest it up on a wall or something like that, but it’s never too hard to find something. And it takes the weight of my Canon 5D Mark IV with my Canon 16–35mm f/4L IS lens very easily. It has a screw in function that you just attach to the bottom of your camera. And it also has a little ball head that you can use to adjust the angle of the camera. All in all, it’s incredibly convenient, and for $35, it’s an absolute no-brainer. So there you have it: three tripods that give you exactly what you want from a tripod — stability. These three will get you by in almost any situation imaginable. And you don’t need to make yourself broke to get any of them. What tripods do you use and recommend in a similar price range? I highly suggest the MeFoto line for travel. 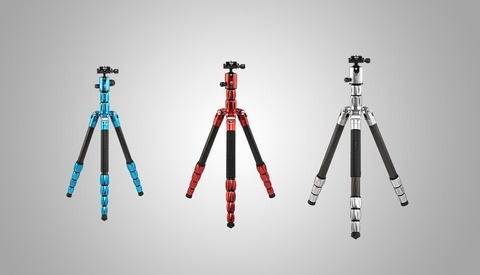 These are Benro tripods with a different name. It's not ad advertised anymore but they are the same brand. I own 2 of the Globetrotters. I've had one for 6 years that's still going strong. I had to replace one section of leg on that one but it's expected with what I put it through. My opinion the best quality/cost ratio you can ask for. Agreed! I have two roadtrips, and never failed me. They are a lighter and shorter, but still holds my setup. I don't like the Befree, feels a little flimsy. The BeFree is definitely built for convenience, and what it offers in lightness and compactness, it loses in sturdiness. Having said that, there have been times when I've travelled to some pretty wild places with the BeFree and it's always held up well. But I'll definitely take a look at the MeFoto line toonow that you've both recommended it. I was looking at getting the MeFoto Globetrotter, was wondering, do you have the carbon or the (i think it's) aluminium? Which do you think is better? It really just comes down to losing the extra weight. If you have the extra money to spend and want less weight, get the CF. If you don’t need less weight - get the AL. Both of mine are CF but I need the lightest Tripods I can get away with. The difference is not a whole heap! But I suppose when you're carrying everything on your back it all adds up! another vote for mefoto, i have the globetrotter. love it. It's certainly getting some rave reviews here! Shopping for one and these are great. I haven't heard of them before. Thank you. Depending on the situation, you might not really need tripods for portraiture work. Of course, if you're set up in a studio then you can get whatever you want, but if you're out in the field with changing light and moving models, then yes, a tripod can be cumbersome. Currently I only have a tripod, that works like a charm. It´s the Manfrotto 055xpro with a short column center. It has been used and abused since 2013, on the mountain, on the beach, lakes, rivers you name it. Its really sturdy. The key to have it like new is regularly clean it and losen/tighten the screws when you see is needed. Yes the Manfrotto line of tripods is pretty good. And you make a great point about maintenance - cleaning and greasing and oiling is essential. Unfortunately, I don’t do any of them! It’s why my tripods all look battered and bruised but the fact they are still goong well is the reason I recommend them. And your Manfrotto model sounds like a good one too. Thanks! What do you think of Photopro products? To be perfectly honest with you Marco I’ve never used them. Do you have some, or are you thinking of buying? 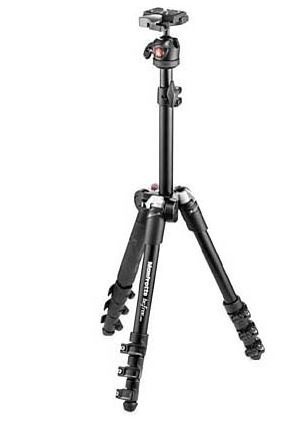 Yes wouldn't that be awesome in a little travel tripod? My Vanguard Alta Pro has the horizontal adjustable column but I'd never take that away with me on my long travel trips as it's too bulky. But I do miss its versatility. It seems none of the small, lightweight travel tripods can get into true horizontal mode...? Iain, have you looked at the Benro SystemGo Plus tripods that came out recently? 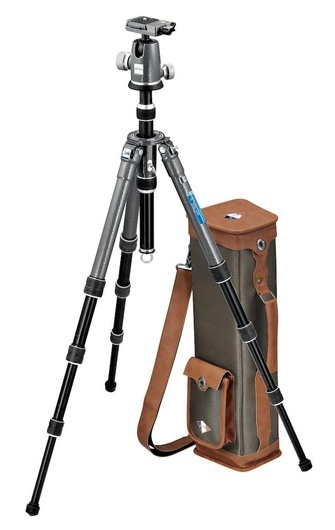 They are considered a travel tripod but also have a centre column that can go vertical. I'm really tempted to buy one, but haven't seen many reviews yet. I'd love to know what you guys think. 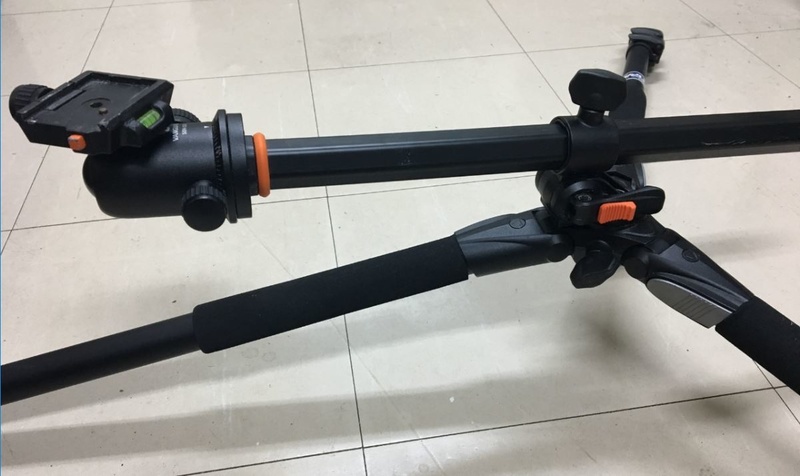 That appears to be one of many "subspecies" of what may be Ningbo Weifeng products (at least that's the best guess at an OEM I have seen so far), effectively it should be largely the same as the Manfrotto tripod shown above, or a Benro, or a Sirui, etc. They seem to be fairly solid little things, the heads are a bit wonky though and rely on grease to gloss over machining precision. They're not the most amazingly stable platforms (the mirror of a D750 can shake the carbon variants like my Sirui N-1205), but for compact and lightweight travelling gear they're hard to beat and they will happily carry a "consumer" 150–600. I use a lightweight Manfrotto 190 Go tripod and Manfrotto Pixi - these do for me for most things. The Cullmann looks like a nice travel companion for my mirrorless cameras, but it's no longer available. They don't seem to have released a similar item after discontinuing this one. That should have been checked before publishing this article. I wrote this article almost a year ago Dan, and the Cullmann was most definitely available at that time. I'll let the editors know that it's no longer available through B&H. Cheers.